Museums are not places that we go to be entertained, they are places that we go to come together and discuss ideas. They exist to make us think. 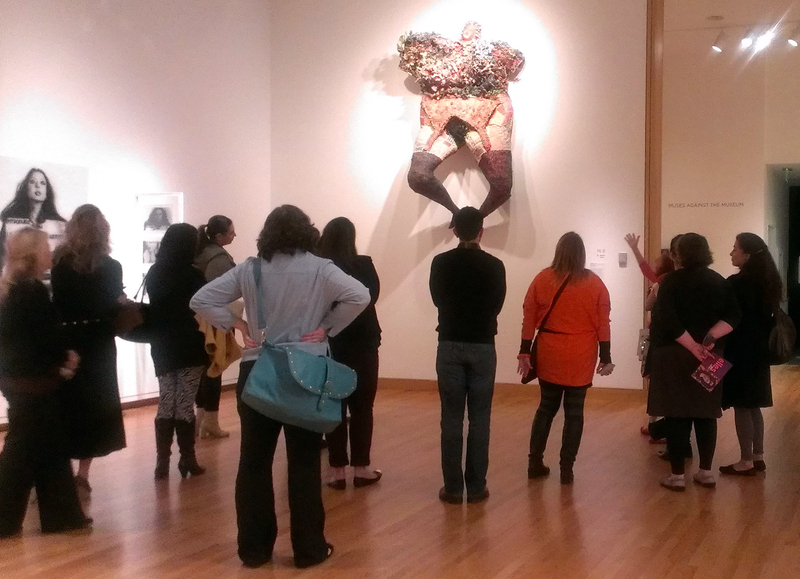 Wendy Simons, a docent at the Seattle Art Museum, said a version of the above at the end of our tour. A few weeks ago, the Seattle Art Museum invited a group of bloggers to the museum for a preview and a guided tour of Elles: Women Artists from the Centre Pompidou, Paris exhibit. Elles at the Seattle Art Museum features more than 125 works of art made by 75 women artists from 1909 to 2007 and through their work reveals a history of 20th and 21st century art from a perspective that we’ve never seen before, women. And this exhibit is a fraction of the 500 pieces that were part of the original exhibit at the Pompidou in Paris, France. Before Elles first appeared in at the Pompidou from May 2009 to March 2011, art by women were never part of discourse on the history of art and culture. Think back to when you were in school and learned the names of Henri Matisse, Vincent Van Gogh, Paul Gaguin, and many other artists of the 20th century. Did you ever stop to ask why there wasn’t a single female artist included in those lessons? It wasn’t that women weren’t creating art during this time. They were painting; we just didn’t know their names.